Sometimes I fail to get the number of miles in that I plan the morning prior. If not due to stopping in town longer than expected, you can bet it's because I'm stopping for photos. Sometimes I spend a fifteen minutes laying on the ground getting shots of a single bug or amphibian. This guy was right in the middle of the trail. I carefully stepped around him, but had to go back for a photo shoot. There are over 350,000 known species of beetles in the world. As a point of comparison, I think there are less than 5,000 known mammalian species, half of which are rodents. Theologians once asked the geneticist and evolutionary biologist, J.B.S Haldane (which should be a household name), "What can be inferred about the mind of the Creator from the works of His Creation. J.B.S. 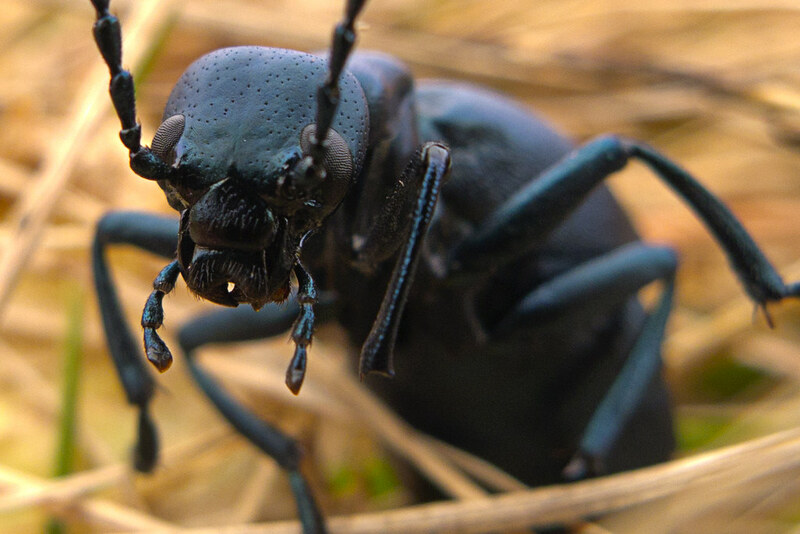 Haldane said, "The Creator, if He exists, has an inordinate fondness for beetles".